Dementia Navigators – how can we help? Coventry Library Service have just launched a new collection of books. Reading Well for long term conditions is a collection of books that provides information and support for people living with a long term health condition and their carers. The books provide quality-assured information about common conditions and symptoms, practical advice for living with a long term condition and support for self-management. Reading Well for long term conditions covers general information about living with a long term condition, as well as a focus on conditions such as diabetes and stroke, and common symptoms such as pain and fatigue. The list also includes titles to support the carers, friends and families of people living with a long term condition. 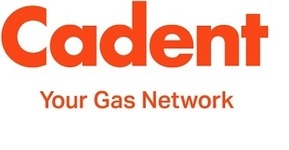 Cadent, our local gas distribution company (formerly National Grid), is able to install a locking valve onto gas cookers and hobs free of charge. This small but effective device means that the supply of gas to a cooker can be easily turned on and off and locked by carers through the use of a key. This adaptation can help to reduce risks from fires and gas being left on and can also give carers reassurance when they are out of the room or the house. As the valve can be turned on again when the cooker is needed, it can also support people to maintain their skills and enjoyment from cooking. The installation, undertaken by a trained gas engineer, takes about an hour. 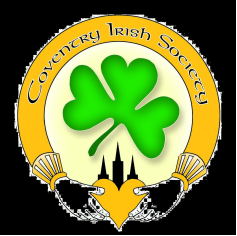 If you are a carer from the Irish community and want to meet other carers for a chat over a cup of tea, come and join us at Coventry Irish Society. We offer support to both carers and ex carers on the second Thursday of each month at the Coventry Irish Society Office at the Centrepoint building in the city centre. The group runs from 11am-1pm. Please feel welcome to pop in or contact Dawn/Anne on 024 7625 6629 for more information. A diagnosis of dementia can lead to many questions for carers including wanting to understand more about the condition, how to plan for the future, working and living well and the support/activities available both for carers and people living with dementia in Coventry. Dementia Navigators are specially trained workers who aim to provide anyone affected by dementia with the information and support they require, including linking people into both Alzheimer’s Society and other services as needed. They also understand that as the condition progresses new issues can arise – so the door is always left open for people to access the service when they need it. People prefer to access support in different ways. For some it can be a chat followed by information being sent out, for others a face to face visit works better for them. There is also an online Talking Point community forum available from Alzheimer’s Society where people can ask questions, share experiences and get information and practical tips on living with dementia. This is in addition to the wide range of carer focused factsheets available on our website. Congratulations to Ben Sedgebear who has successfully gained a place on the Social Work degree course at Coventry University which starts this autumn. For the last few years Ben has been supporting carers in Coventry as part of the Coventry City Council’s Carers Assessment Team. People may also remember Ben from the Life Chances, Physical Impairment and Older People’s teams. His colleagues in the Carer’s Assessment Team will miss his commitment and professional support and wish him well for his future studies – which he will combine with working in the intake part of Adult Social Care. Ben’s role in the Carers’ Assessment Team will be filled (on a temporary basis) by Kuldip Bagri.